Virtually everyone involved in a construction project has legal duties regarding health and safety. Specifically, those responsible for designing, constructing and operating buildings must manage, monitor and co-ordinate health and safety practice during the phases in which they work. Our course is designed to expand your knowledge of health and safety in construction and consider environmental perspectives linked to sustainability. 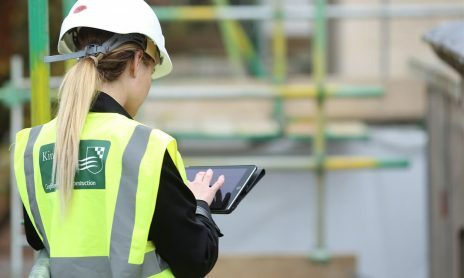 You will be provided with key skills in dealing with actual or anticipated health, safety and environmental risks along with a thorough grounding of how these skills are uniquely applied to the built environment. Moreover, there is further focus on management plans for safe working practices. By completing the course you will demonstrate an ability to analyse the issues around the legal framework surrounding health and safety, evaluate risk management systems, and prepare management plans for safe working practice on your sites. The Health, Safety and Environment course is delivered online via e-learning and case studies to support you as you study. You will be given access for 90 days to offer you flexibility as you study.